Our EMedStore is a one-stop solution for the Pharmaceutical Industry needs – Now Develop Pharmaceutical website, Pharmaceutical application to increase business productivity and ROI. We start with a need assessment when you come to us with a query. In this process, our expert developers get in touch with you to understand your business model and your requirements. As a first step, we ask you to tell us about your business and your expectations for an online medicine App. We assess your understanding of the online business models and then come back with our notes. After getting all the details about your expectations with the online pharmacy website and an online medicines App, we chalk out a complete project plan for you. We give you a presentation on how we would develop your online pharmacy and what are the things that we would like to add (if any). Also, we give you a small demo of how your online pharmacy App would look once we develop it.  Once you approve of the project, we give you a step-by-step project timeline and details. We will give you the estimated progress for each month and the final date of delivery for the beta as well as the final version. These dates are tentative and might change when we actually start working. At this stage, we also give you an estimated cost that you can partly pay through the development phase of your App. Once you agree with the timeline and the cost, we start the actual work. We dedicate a team of highly skilled expert developers for your work who understand your project very well. They keep in touch with you all through the development process of your App and also keep taking your feedback in case you want to make any changes in the App. We do it to ensure that the final version is flawless and the outcome is as per your expectations. After we successfully test your online pharmacy App and the website, we deliver you the final product without any delay. Our relationship does not end after delivering you the final product, but it just begins there. 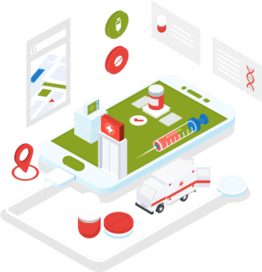 We also offer all kinds of assistance with online marketing in order to give your online medicines App and online medicines website the right kind of recognition. As you can see, our process is pretty straightforward, and you have full control all through the process. You can always reach out to us for a quick demo!